Have you ever wondered why it seems that criticizing certain ideas, or claims, is considered taboo? The Church of Scientology insists that its members use only their approved web browsers, versions of existing browsers that they usually modify. Several Islamic nations attempt to pressure internet providers and various websites, like Facebook, to block or remove certain material. They even go so far as to pressure them to ban those who produce or share material they claim is offensive. The problem is that while it may be offensive to some, it's not offensive to many. It's completely unreasonable and unjust to attempt impose one's views on others by being so selfish and inconsiderate of others as to demand that one's views get special privileges. Yet, there are those who believe wholeheartedly that they are in the right to demand special treatment. Some people believe that their beliefs are entitled, by unestablished but presumed privilege, to not be ridiculed or mocked or criticized in any way. This attitude strikes me, at first, as strange and undeserved. To think that some belief is deserving of some special privilege is a very wrong idea. Perhaps this is something that has already been noticed and discussed, but I think this new term is appropriate. I have not yet encountered such a term, let alone an identification and discussion on this issue though. So here it is. I'm calling this phenomenon “Privilegism”. The root of this term is privilege, which is defined as the special and favorable treatment which is not enjoyed by all, or the granting of certain rights to only a few, or exemptions from some rule, burden or law, or a manifestation of favoritism. Those who are treated with favoritism, or a beneficial special consideration, etcetera, are called “privileged”. Those who believe that their views, their opinions or beliefs are entitled to a privilege of not being criticized or ridiculed, are obviously going to act as if it's natural and normal for their beliefs to be so immune. To their thinking it goes without saying, it is clearly granted. They assume it's the way it is and should be. I'm defining “privilegism” as; the belief or attitude, that certain ideas are sacred and entitled to privileges, especially immunity from criticism or ridicule and special treatment. A "privilegist" is one who practices privilegism. An example would be when someone says something like "how dare you post this offensive picture of Mohammad on your page! You have no right to do that!" Though it's not limited to religion, it is most often the case that religious people demand the privilege for their beliefs, that they are not challenged or ridiculed. On a large enough scale this privilegism becomes the norm. 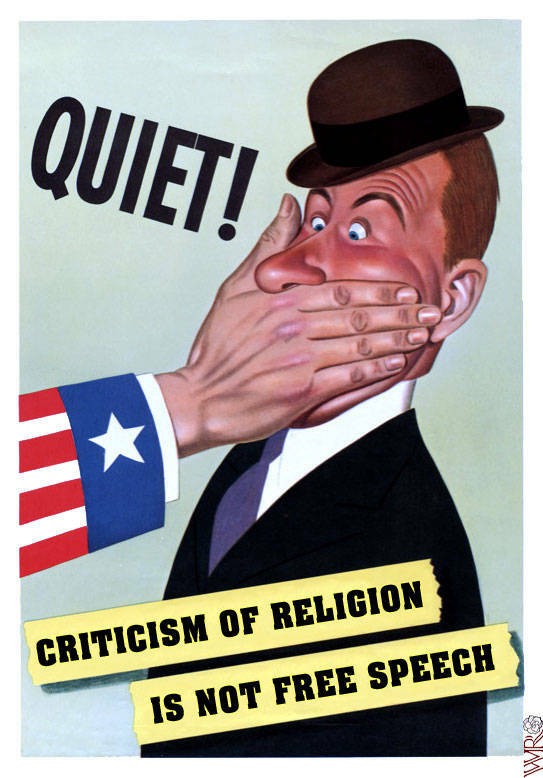 Even in a technically secular nation like the United States, when the majority are of a particular religion, the idea that religion is somehow “sacred” and immune to criticism or ridicule is commonplace. It leads me to ask “are they afraid that people won't believe the idea if people can scrutinize it?” Why do some people want to protect their fragile but “precious” belief? I think the underlying motivation for privilegism is comfort. People don't like their beliefs to be challenged and so they'll do what they must to protect them. This seems to me to be a clear issue. There certainly is a continuum to privilegism. At one end there is the weak position, the idea that people should just let people believe whatever they want. 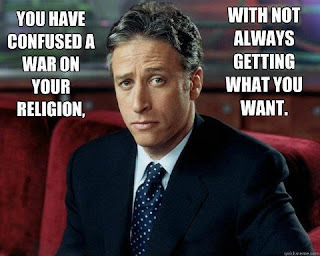 They say “don't rock the boat!” On the other end, the extremist end, the people take it much further. They tend to believe that anyone who criticizes even slightly, let alone makes fun of their belief, is blasphemous and deserves punishment. The furthest this goes is to murdering people because someone else drew a rather mild cartoon. Of course, there are also societal and legal counter-pressures that are also at play. This often frustrates the more extreme privilegists. This is seen when religious people demand that social networks, for example, ban certain people or groups and remove material, which the privilegists deem offensive. The fact that in the US we have freedom of speech and freedom of religion and freedom of the press means that they can't do very much. But, they still yell their own obscenities and they try, and though not very often it's still too frequent that they succeed. Then there is the other axis. The scale on which a nation values it's liberties. On this second continuum we can see different societies' values of liberty. In the US, for example, we tend to value freedom of religion, freedom of speech and freedom of the press more than in many other nations. Granted there may be some where they value those liberties more. In the case of a more civilized, free and secular nation even the moderate privilegists fail to get their way, more often than not. But, in some other nations, even the more extreme of the privilegists are quite successful and so there tends to be much less liberty. In such places one will likely find blasphemy laws. Ireland, Saudi Arabia, Iran, and North Korea all come to mind, quickly. Blasphemy laws tend to be among the more egregious of the privileges that they seek. 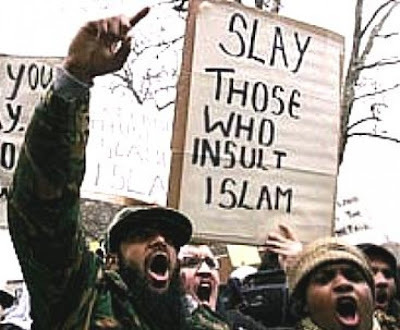 Even more extreme, though, are places where they impose death penalties for blasphemy. They have the attitude that their religious beliefs are privileged in some way as to justify favoritism and protection. I don't know of any religion that does not practice this. In fact, it is a confession of the weak position of a belief or claim to demand special privilege for it. 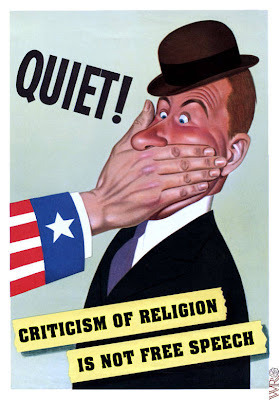 Why should any idea or belief need to be protected from criticism? If it is true, if it is well-formed and grounded in reality, then such an idea or belief should have no desire for special treatment. Every belief or idea should be subject to criticism. If it is valid, if it has a modicum of truth it will need no defense and no privilege. For instance, the idea of evolution by natural selection does not need to be defended, it needs no special privilege, because whether or not it is accepted it remains true and observable. Privilegists, those who employ privilegism, are actually saying that if they did not seek the special treatment, defense from criticism and privilege, their beliefs would be too weak to long survive. Any belief, or idea, which has truth will stand on its own merits and will long endure. Privilegism is the subconscious admission that one's belief is more than merely untrue, but that it is a very wrong idea. Read my book here. Follow me on Twitter. Like my page on Facebook. Check out my videos on YouTube. Visit me on Instagram. Visit my author page on GoodReads. I apologize, I accidentally removed your comment. I intended to respond, as I'm doing now. Thank you for your appreciation. I hope that you continue to enjoy reading my blog and I welcome any thoughts you may wish to share.